Oh, I like the shocks on the landing gear when you touch down, very nice. This video shows a Vertical Take Off and Landing test using the Manual Navigation Mode. 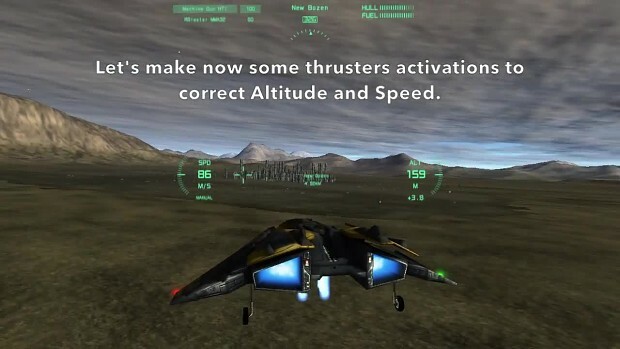 This mode gives the possibility to individually activate the XYZ thrusters without the intervention of the automatic stabilization mechanism and allows the execution of special maneuvers otherwise not possible. As in the last video we'll make a short flying circuit over the New Bozen Airport, a fancy name for a futuristic city located near the mountains of northern Italy.